Forking over your hard-earned cash for a new vehicle is only frightening when you don’t choose the right dealership. Luckily, here at Burlington VW we strive to deliver excellent, high quality vehicles and financing plans to all our customers throughout throughout Burlington, Willingboro Township, Hamilton Township, Cherry Hill, NJ, and Levittown, PA, and beyond. 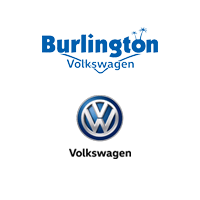 When you make the exciting choice to lease or purchase a new or used vehicle from Burlington VW you’ll not only drive away with a vehicle you can enjoy and rely on for many years but you’ll also drive away with the peace of mind in knowing you received the best possible deal. We offer an impressive selection of both new and used vehicles so whatever your budget or preferences might be, our friendly staff will help you find the model that caters to exactly those aspects. Once you’ve selected the new Volkswagen or used model that you know will change the way you drive for the better then our expert financing center will get right to work on devising the most sensible financing plan for your budget. Even if you’ve had some credit mishaps in the past our team will find a way to get you affordable monthly payments so you can be on your way to enjoying your vehicle thoroughly. We strive to deliver low interest rates so you can sleep easy and focus all your attention and energy on your thrilling new vehicle and every exciting destination that might be on your agenda. Would you like to see all the great vehicles we’ve got waiting for you on our showroom floor? Please come on by and check them out at your earliest convenience and we’ll happily take you for a test drive with the model or models you like best. After you’ve found the car of your dreams we’ll ensure that the leasing or purchasing process flows more smoothly than you’ve ever experienced before.